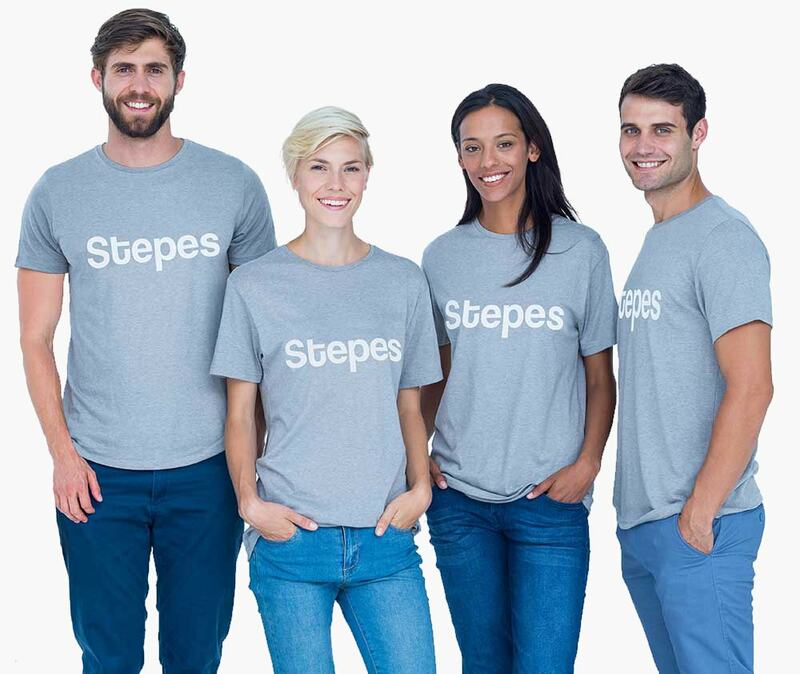 Stepes translation APIs allow global enterprises to streamline and automate professional human translation services for unrivaled speed, convenience, and scalability. Learn how to use Stepes’ automated translation services to achieve enterprise-wide translation speed and scalability with reduced overall costs, while improving linguistic quality and consistency. Today’s enterprise translation requirements demand speed, agility, and affordability while simultaneously achieving scale. Conventional translation processes are manual with too many human touch points, costly, and too slow for meeting rapidly changing customer requirements in the digital environment. Stepes comprehensive translation APIs are designed to simplify and automate the translation management process so businesses can obtain quality human translation services on-demand, with fast turnaround, cost efficiency, and more consistent, quality linguistic output. Each translation request causes Stepes to create a new translation project within the Stepes cloud based translation ecosystem. These projects can be easily tracked and reviewed for easy project management. This will show the translation status in real time, and allows you to implement translation progress tracking within your system. This function will allow you to receive translated content based on the language info you specify. You can then use the translated content to automatically populate into the localized website. Upon completion of the translation, Stepes APIs can also push the translated content back to your CMS through APIs, making the entire translation process highly automated. If you are short of engineering resources, Stepes can also help integrate your CMS with our on-demand human translation APIs. Fast and Dynamic. Stepes automated translation solutions are ideal for companies that need a steady amount of content translated on-demand and on a continuous basis. Since the entire process, file handoff, translator assignment, translation, lingusitic review, and delivery, is handled automtically, it allows cotent to be translated very fast. On average, Stepes automated translation solutions can save businesses 50% or more on translation turnaround times. More afforable service. Tranditional translation services invoved many human touch points both on the client and vendor side. These manual touch points include tasks such as quatation, file handoff, project delivery, and translation memory update. All of these manual steps add up to become quite costly. More importantly, these manual processes can introduce human errors which cause further project delays and lower quality output. Better scalability. Stepes’ translation APIs allow our customers to streamline the entire process of content translation, translators are approached from a large pool of professional translators so they can scale to meet high volume translation requirements. Since Stepes is also a mobile-powered and cloud based translation solution, scalling up your translation services is as easy as plugging additional services digitially. Software companies and technology enterprises today are increasingly embracing agile, iterative methodologies to accelerate the delivery of products and services to meet rapidly changing customer demands globally. This means companies that used to do only isolated translation projects on a weekly or monthly basis must now translate dozens or even hundreds of projects, albeit small, daily, or even hourly. Such a high frequency makes it impossible to continue relying on the old offline model with human project managers kicking off translations manually. This is why companies must employ fully automated translation solutions to achieve speed and scalability, while maintaining linguistic quality. Stepes’ AI powered and fully automated translation services allow businesses to obtain quality human translations on-demand, 24/7, and on a continuous basis. Our full set of translation APIs makes receiving content, translating it with our pre-approved human translators, and then pushing back translated results effortless. Stepes translation automation supports a variety of CMS systems such as WordPress and Drupal, as well as enterprise applications such as CRM and ERP. In today’s rapidly expanding digital economy, Stepes’ automated translation solutions help our clients get ahead faster internationally with confidence. Modern translation requirements are not only agile, but they are continuous and around the clock. Automated translations provide the perfect solution for continuous translation execution for frequently updated content. In today’s ultrafast digital content development cycles, companies require non-stop, 24/7 translation solutions to reach international customers around the world on a constant basis. The modern iterative development process enables companies to break down the development of large, complex software applications into smaller chunks, and then design, test, and deploy them in repeated fast-paced cycles. As a result, companies now need contents translated in smaller chunks and bite-sized pieces all the time. This is why you need Stepes' continuous translation services. Stepes' fully automated translation workflow and customized connectors ensure that content needing translation is simultaneously extracted without human intervention and reposted to the foreign language websites and applications for unrivaled speed. Stepes' cloud-based translation services deployed on all devices are the leading solution for enterprise translation services on a continuous basis because translation requests are instantly pushed to our human translators anywhere and anytime on their smartphones. It then allows them to translate immediately on-demand on all devices.